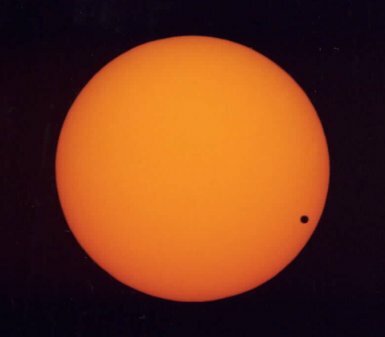 Summary: Every 120 years or so a dark spot glides across the Sun. 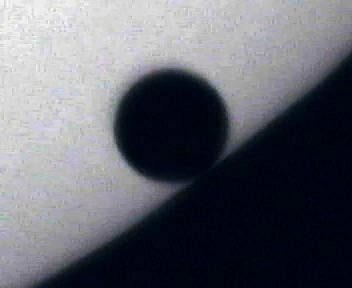 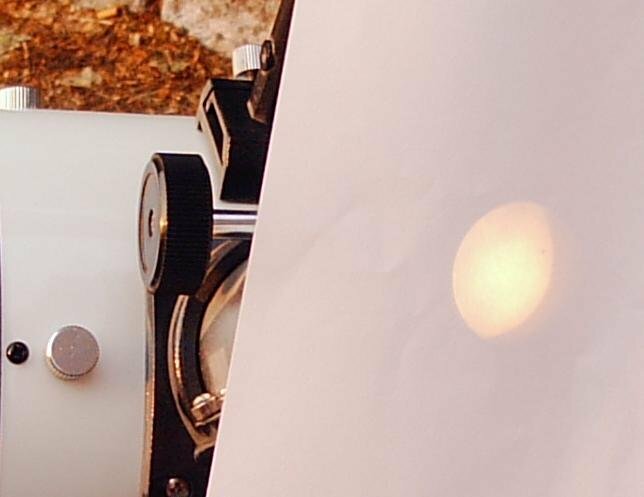 Small, inky-black, almost perfectly circular, it's no ordinary sunspot. 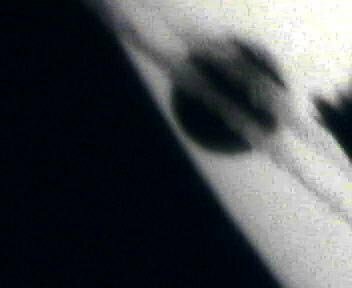 Not everyone can see it, but some who do get the strangest feeling, of standing, toes curled in the damp sand, on the beach of a South Pacific isle.... Get the full story from Science@NASA. 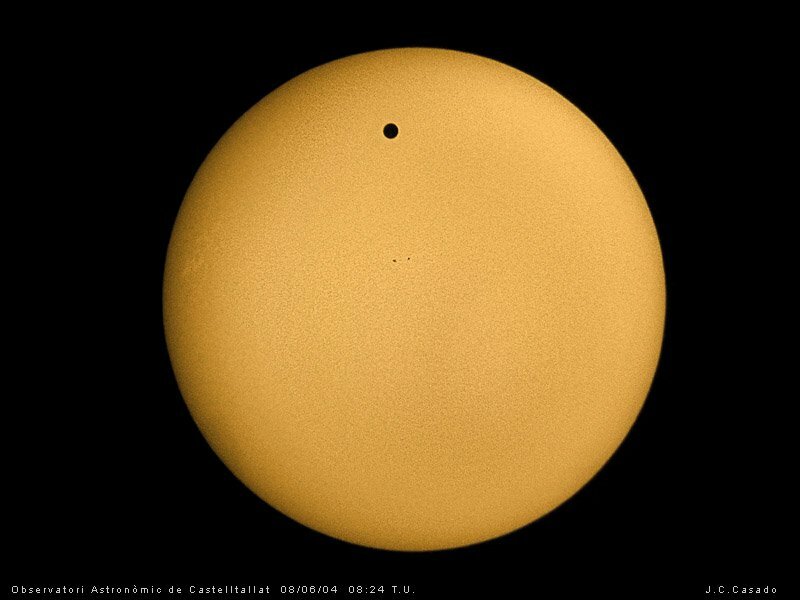 Venus 2 minutes after 4th contact showing halo and bright polar spot aligned with the north pole of the planet ( north is about 45° down-left on the image). 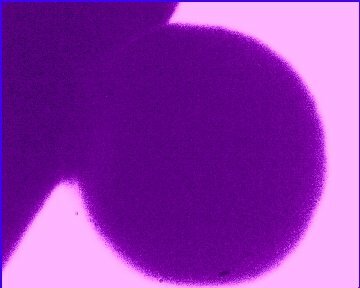 2Å H-alpha-coronograph image at 2,5 m equivalent focal length on 4 ½ inch refractor and Starlight-Xpress MX512 CCD camera with mechanical shutter set at 1/250, taken by Riccardo Robitschek and Gianmaria Caglieris, Milan (Italy) on 08.06.2004, 11h 26m UT. 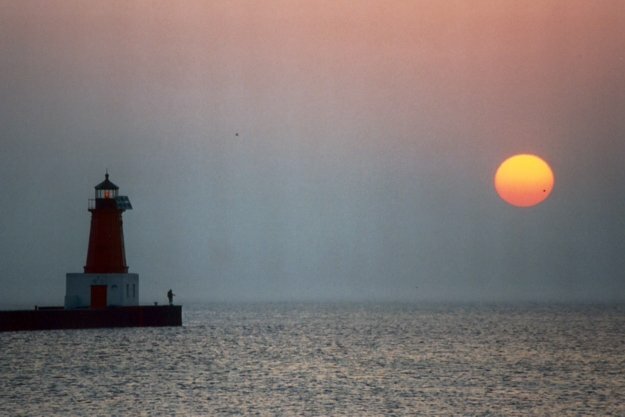 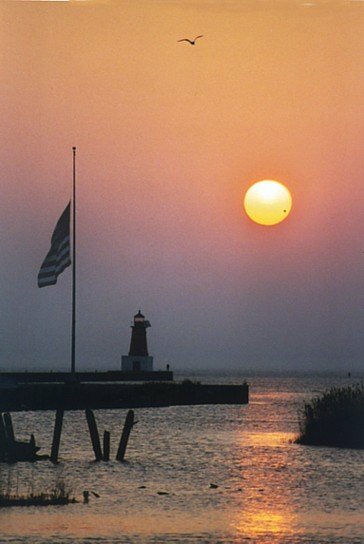 I took these images of Venus and the Sun the morning of the 8th with the Menominee Lighthouse Pier in the foreground. 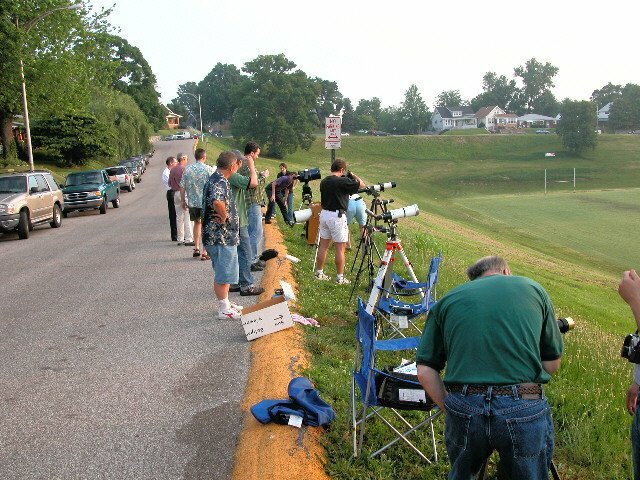 Members of the Evansville Astronomical Society observe & photograph the Venus Transit from Reitz Hill overlooking the Ohio River. 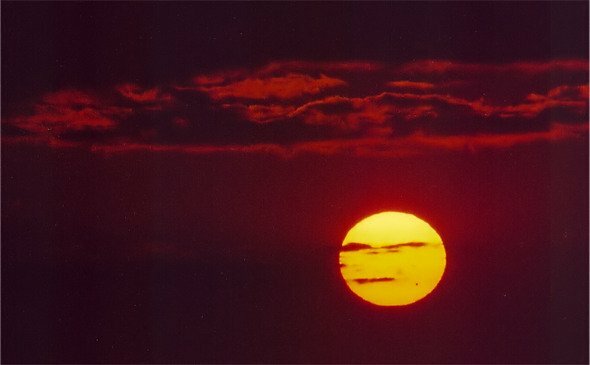 A rare cloudless June morning in NW Florida. 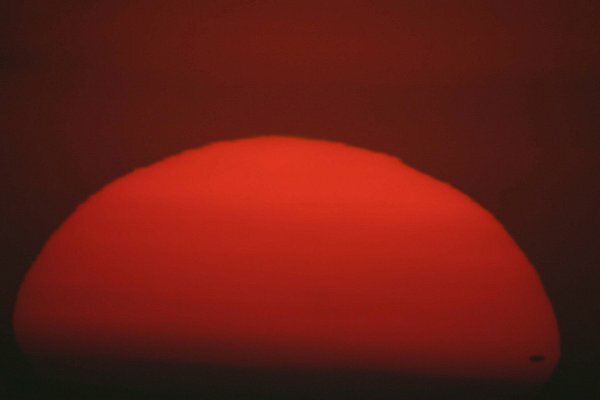 We were able to watch the entire ~45 minutes from the first appearance of the sun as it rose over Escambia Bay. 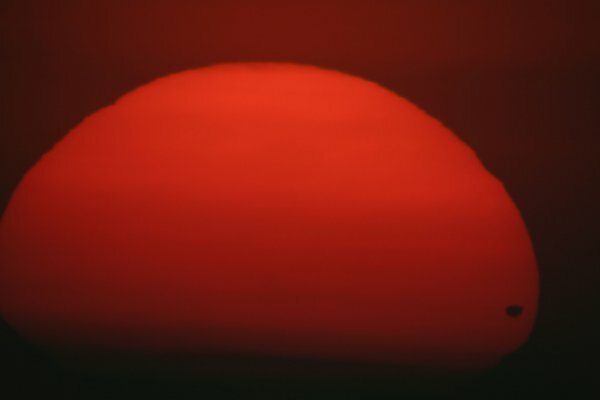 Digital Rebel on Celestron Ultima 9.25. 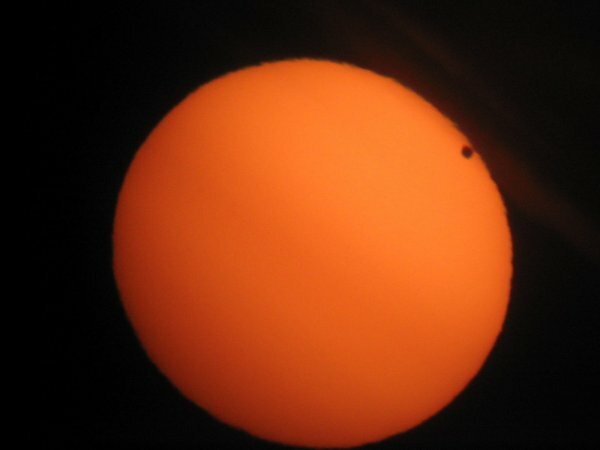 Here in Quebec, we only got the end of the transit, but it was pretty spectacular to see the sun rising with Venus' silhouette in front of it. 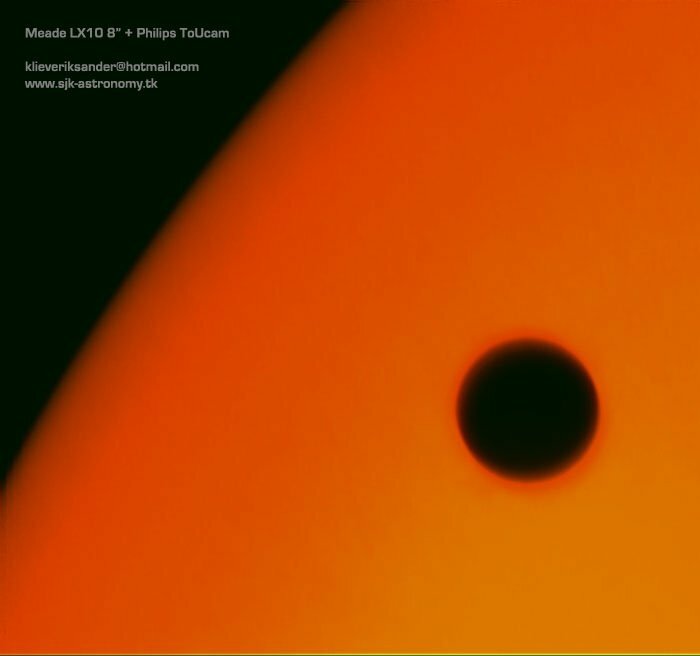 All pictures of this century-event were taken with a Philips ToU Webcam and a C8. 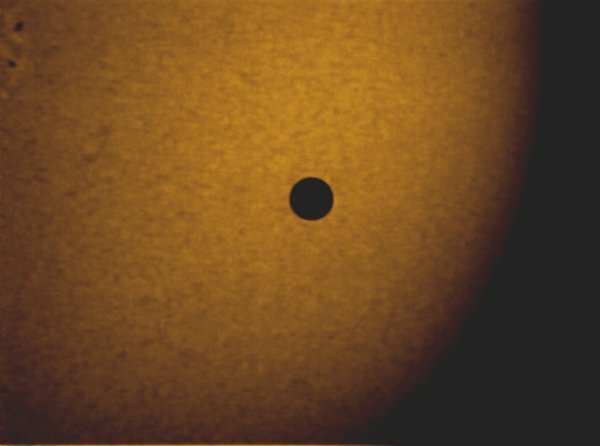 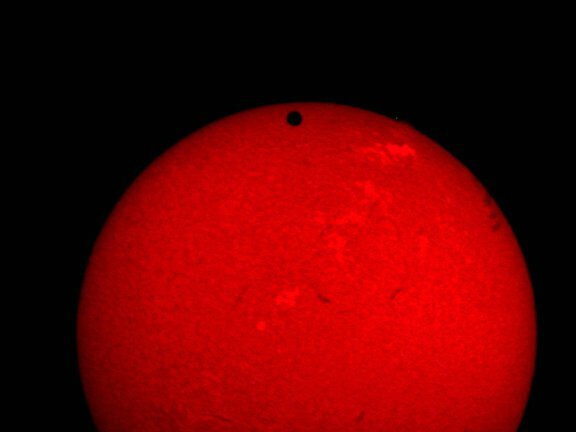 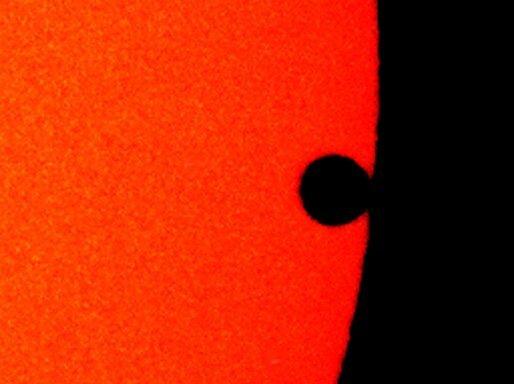 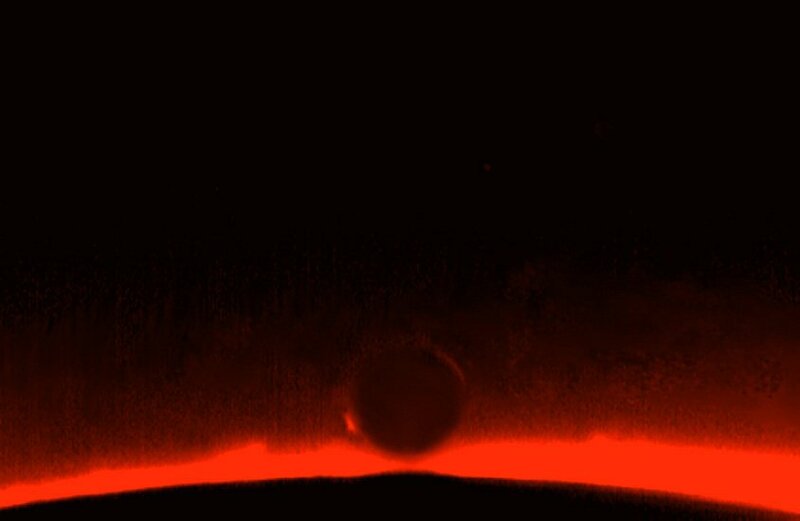 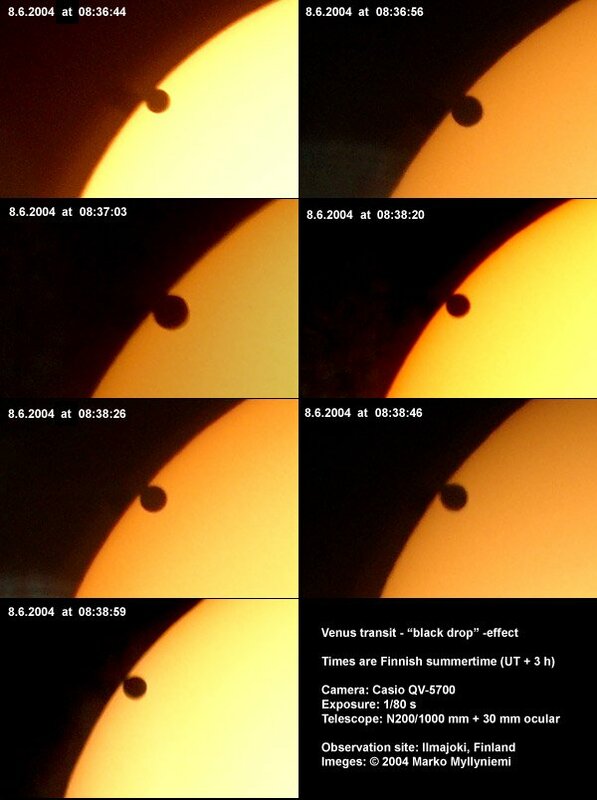 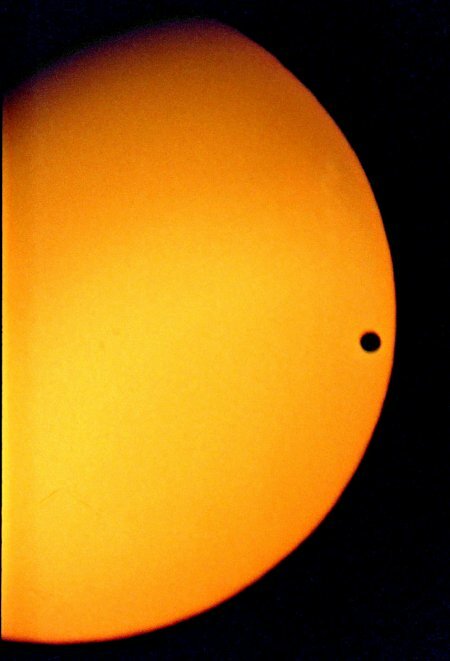 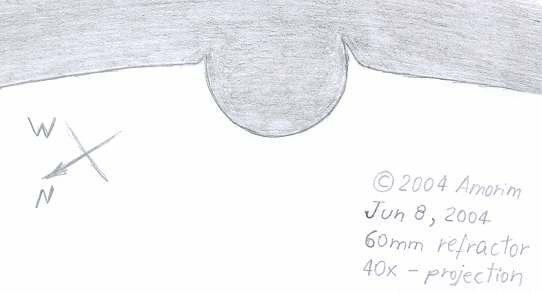 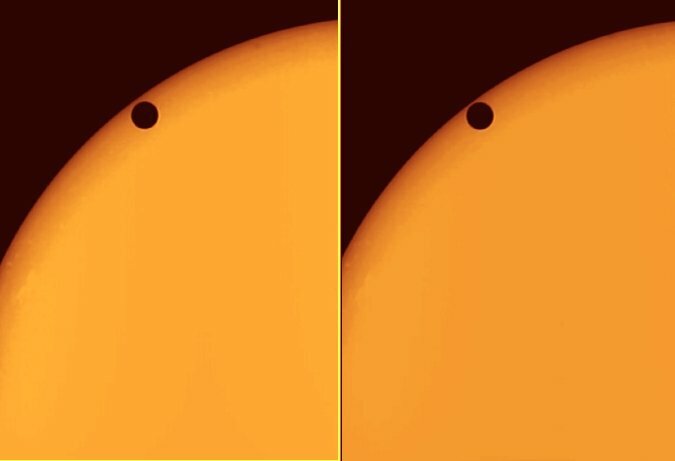 This image shows the central phase of the last venus transit. 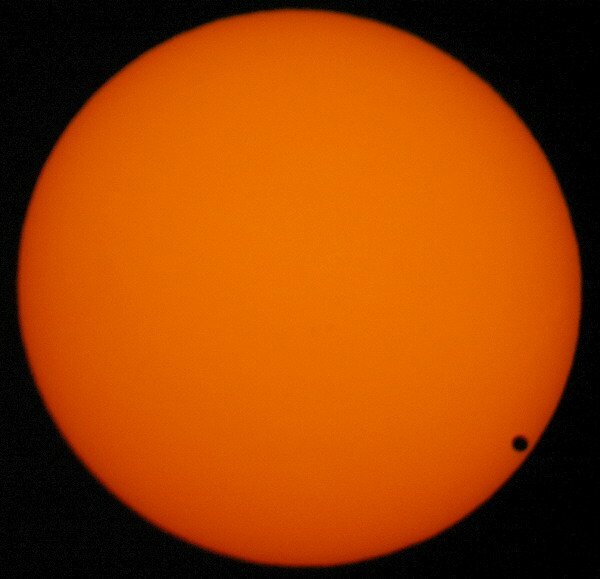 Perfect clear skies and good seeing. 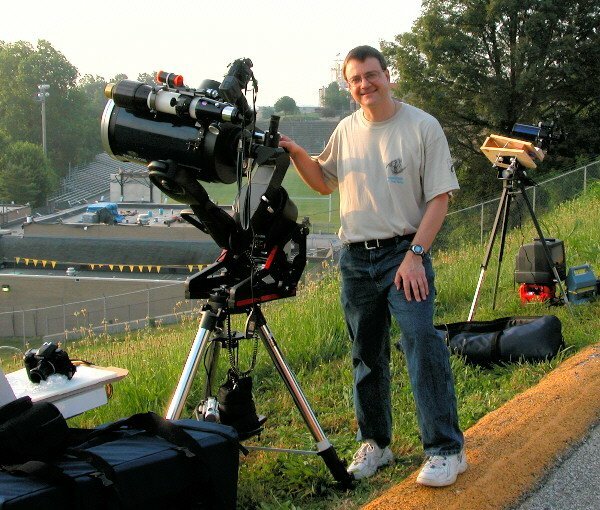 152 mm aperture Newton-Maksutok telescope with a Nikon Coolpix 995 camera.